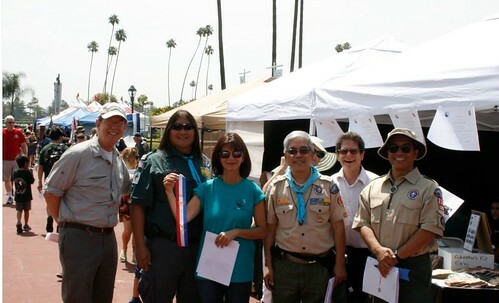 The Foundation for a Drug-Free World, a community outreach program of the Church of Scientology, participated in the San Gabriel Valley Boy Scout’s Annual Expo at the Santa Anita Racetrack for the first time this year. The Church of Scientology has long been a supporter of scouting. L. Ron Hubbard, founder of the Church of Scientology, became an Eagle Scout at the age of 13. The Foundation was invited to participate in the Expo by Charlie Wilson, The Rose Bowl District Manager for San Gabriel Valley Boy Scout Council after he had attended their recent Drug Forum at the Church of Scientology in Pasadena, CA. The Foundation for a Drug-Free World booth was manned by Pasadena parishioners. They set up a mini theater where 20 minutes of the “Truth about Drugs” DVD was screened every half-hour. The sections on the introduction, alcohol and marijuana were shown at these screenings, as these are the most popular and easily accessible drugs. Certificates of completion were given to the scouts who watched the presentation as part of their 2nd class rank requirement 9a. Each scout was advised that as part of the requirement they had to discuss what they had learned with their family and explain the dangers of drug addiction to fulfill the complete 9a requirement. 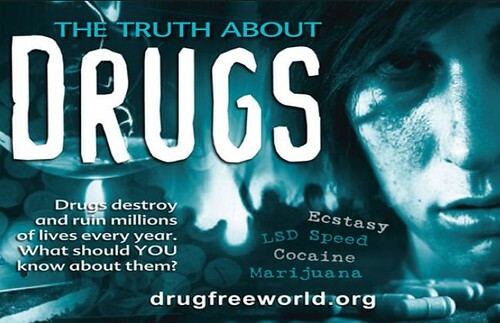 Each scout was also given several copies of the “Truth about Drugs” booklet to share with others. Scout leaders and parents were able to request more information, get copies of the booklets, or book a drug education talk for their group. The Foundation for a Drug-Free World was awarded a presidential ribbon for their booth by the organizers of the Expo.